today, i have the special honor of introducing a brandnew band of my lovely and talented friends Bonnie Strange, Marie Nasemann and Jackie Hide, 3 extremely gifted ladies whose talents reach across the board from modeling, to designing, taking pictures and now - singing and performing. i was lucky enough to shoot some of the band's first ever photos, some of which you see here. if you want to follow RIO, add them on their facebook. 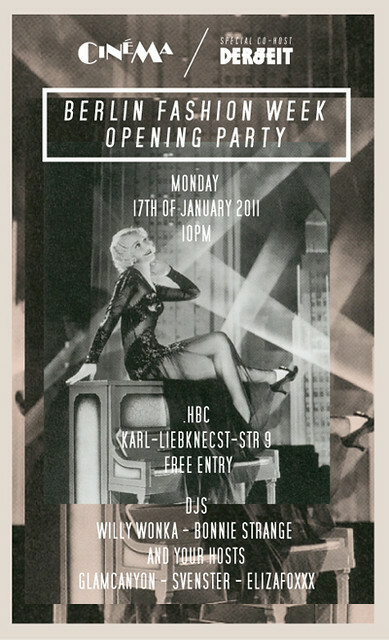 Bonnie Strange (the pretty blonde in the trio) will also be DJing at my club night Cin�ma tonight, which is hosting a Berlin Fashion Week opening party and is FREE! So please come by, meet the gorgeous RIO girls and have a dance.